Felix, the Happy One, continues to grow and thrive since coming into the world in 2014. Its specially developed heart the calibre A11 movement has sustainably proved its worth and was entirely spared any teething problems. And so the time came to make the technology available to its brothers and sisters. Since around mid-2015 the different variants of the A11 have replaced the preceding movements that were based on large-series components in all of the older Habring² models, with the current exception of the chronographs. Thanks to its intelligent design the A11 not only enabled the replacement of previous movements but also a number of new developments. The modular addition of the jumping second in 2007 Habring² was the first manufacturer to present such a new design turns the A11B (Basis) into the A11S (jumping second). And its installation in the slim 38.5 mm case means Felix has a twin brother named Erwin. Erwin is at least as handsome and just as big as its older twin, although slightly more plump. Its movement with the jumping second is still a slim 5.7 mm and its 9 mm case fits comfortably beneath even snug-fitting sleeve cuffs. This is made possible by the new design of the jumping second that is much flatter in comparison to earlier hand-wound watch movements with this little complication. Erwin's heartbeat is determined by hand-mounted and adjusted escapement parts that is made in-house very much in the old-fashioned manner and therefore has no need to fear even the most challenging trials. 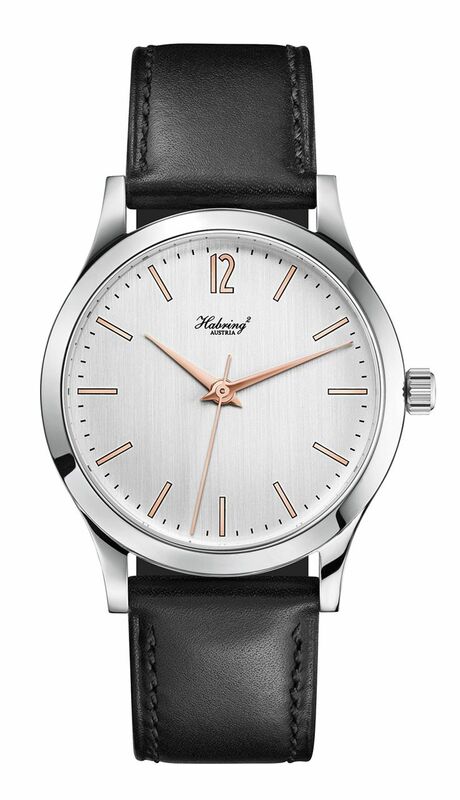 Erwin's case is 100% Made in Austria as are those of every member of the Habring² family. The raw material is tempered in the smelter of world famous steel specialist Böhler of Kapfenberg and then processed by metalworking experts. 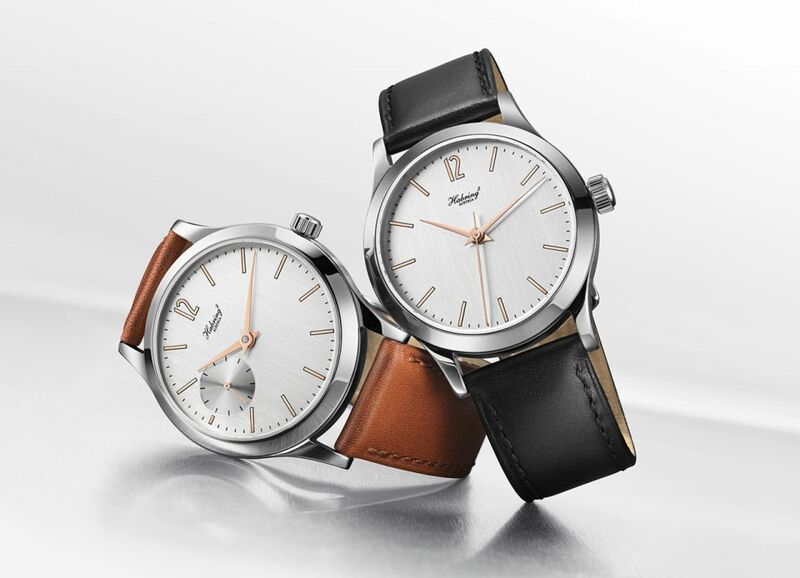 And because every birthday deserves a gift, both brothers Felix and Erwin have received a new Sunday suit: The new silver dial with a discreet brushed metal finish and completely smooth, red gold plated hour bars and digits is made using the covering technique applied to classic examples from the 1950s. The matching red gold plated hands lend the two twins even more distinguished noblesse especially in comparison to the more reserved dial/hand variants that remain available. Another of Erwin's firsts is a new slim 18 mm folding buckle made of stainless steel that is now available for both models as part of the extensive range of ostrich leather and calfskin straps. Erwin is available as of now with both dial variants at a price of € 5,450. 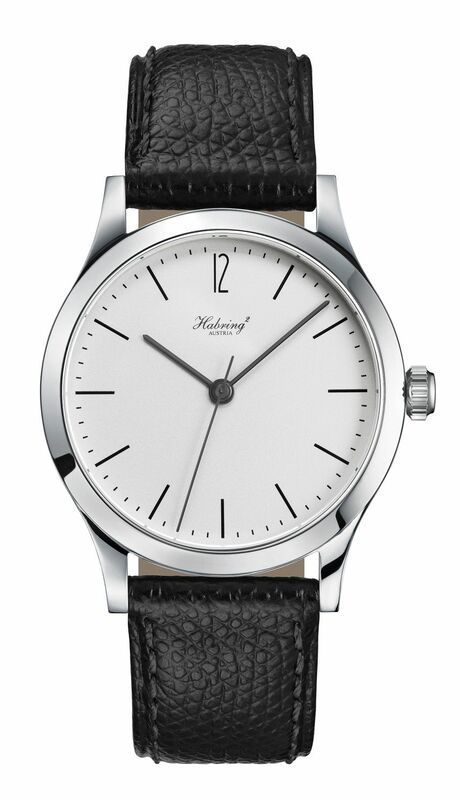 Felix remains the Habring² entry level model at a price of € 4,450 also for the new dial. 	Elaborately refined by hand with polished edges, decorative grinding, perlage, etc.